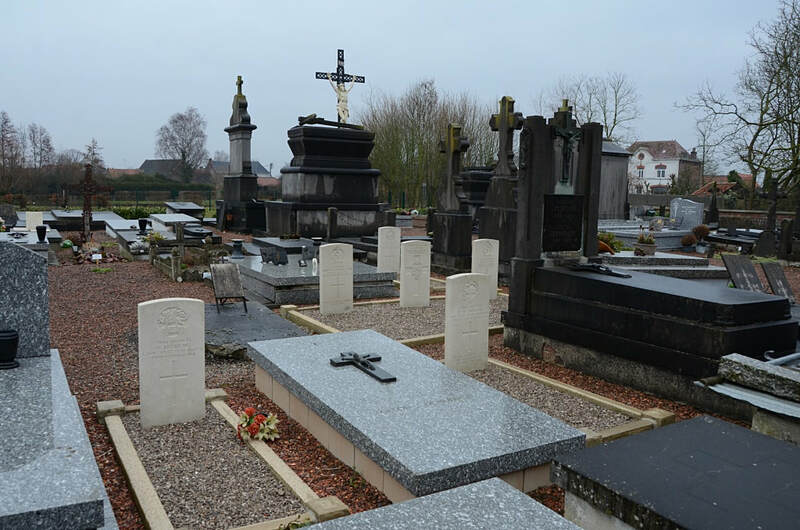 Brillon is a small village some 15 kilometres north-west of Valenciennes. 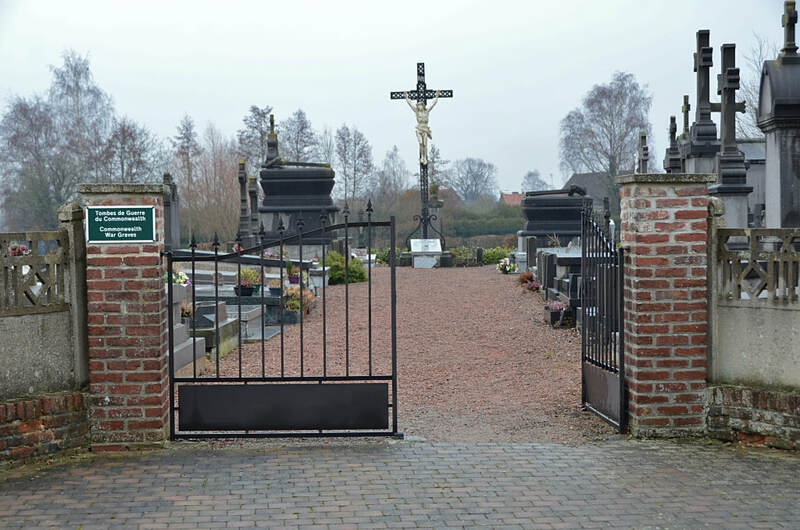 It can be found on the D35, south of Junction 3 of the A23 motorway between Valenciennes and Lille. 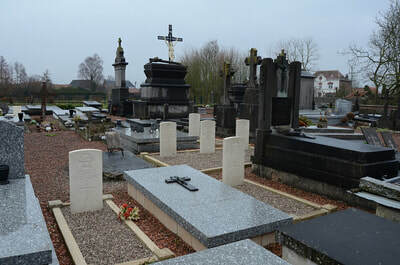 In the village take the road on the right hand side of the church, then the first right (rue du Cimetiere) which leads to the cemetery. The CWGC plot is on the left hand side of the main path, a short distance before the centre crucifix. 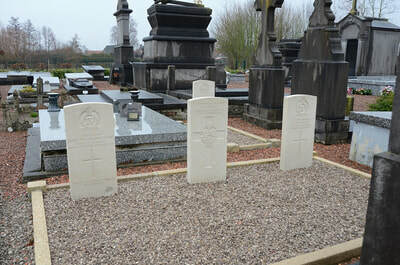 There are 6, servicemen from World War One buried here. 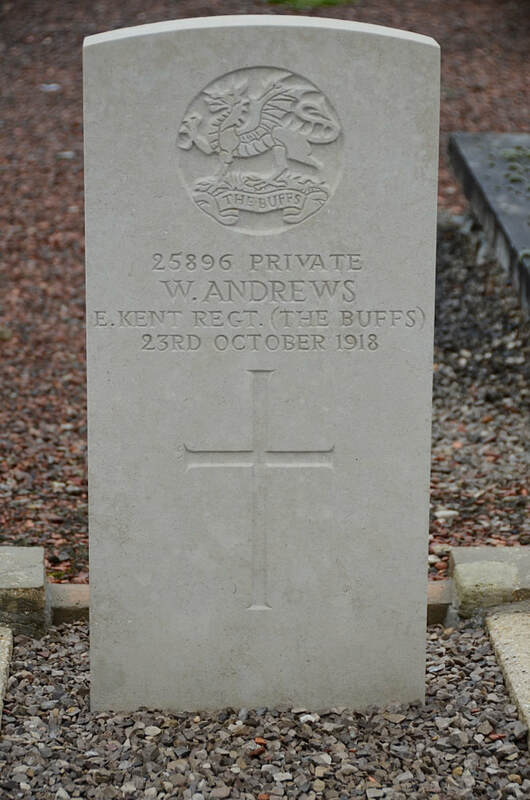 G/25896 Private William Andrews, 6th Bn. 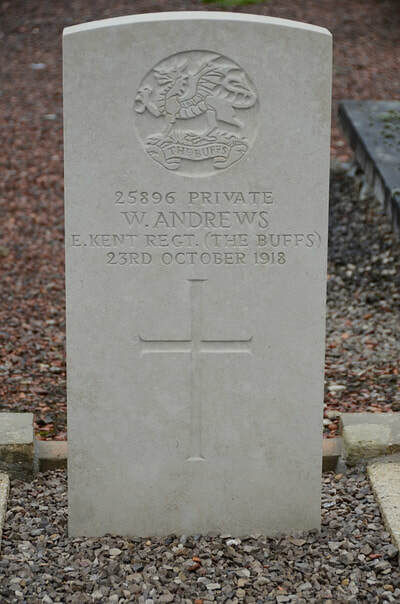 The Buffs (East Kent Regiment), died 23rd October 1918. 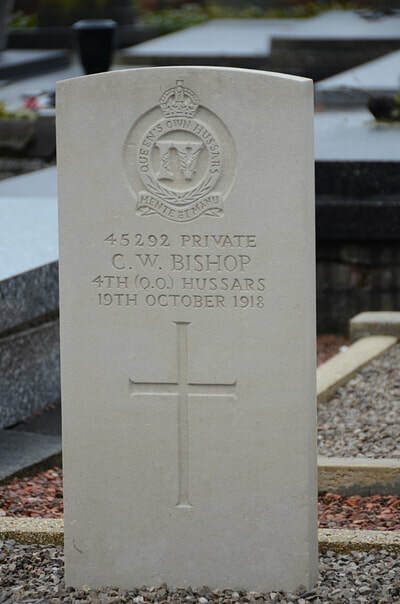 45292 Private Charles William Bishop, 4th (Queen's Own) Hussars, died 19th October 1918. Second Lieutenant Harold Kitson, 5th Bn. Yorkshire Regiment, died 21st October 1918, aged 30. 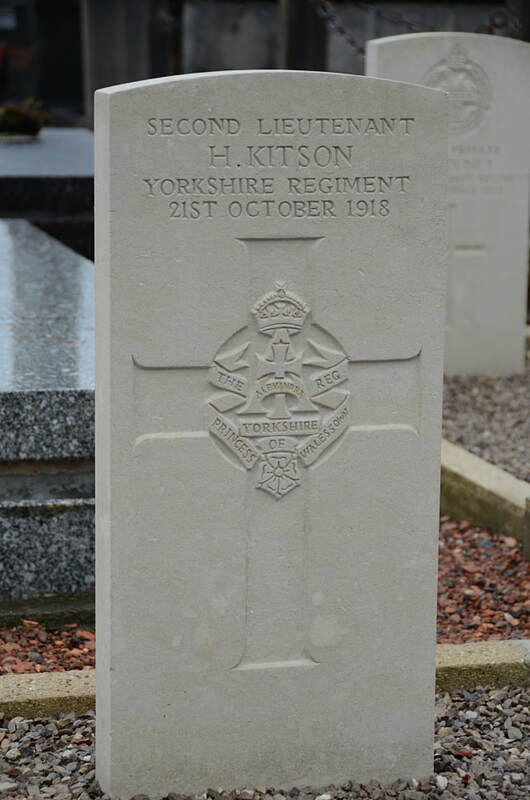 Husband of Mary E. Sanford (formerly Kitson), of 113, Grange Rd., Horton, Bradford, Yorks. Lieutenant James William Sutton Morrison, M. C. "C" Squadron, 4th (Queen's Own) Hussars, died 19th October 1918, aged 20. 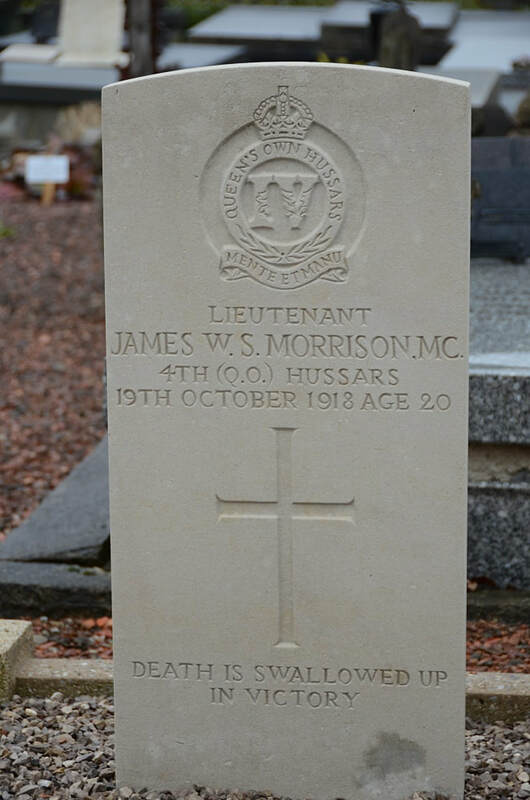 Son of the late Martin Morrison and Mrs. Morrison, of Faceby-in-Cleveland, Yorks. 29996 Private E. W. Wilson, 2nd Bn. 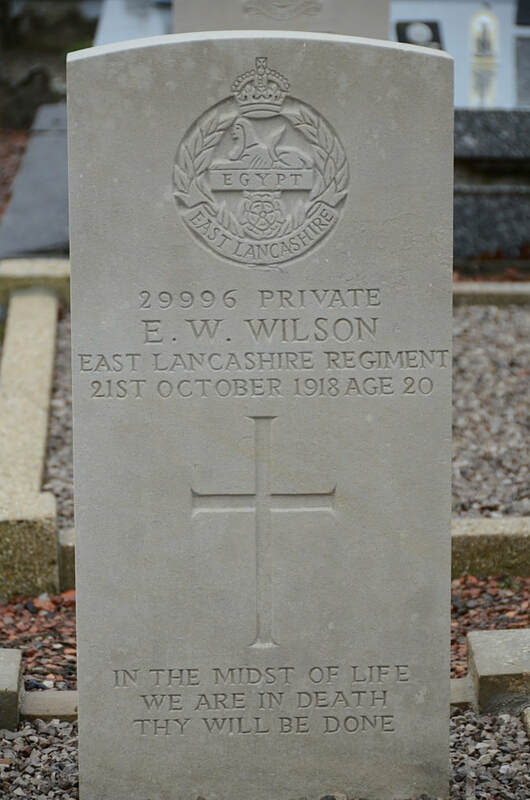 East Lancashire Regiment, died 21st October 1918, aged 20. Son of Gerald and Mary Jane Wilson. Born at West Bromwich. 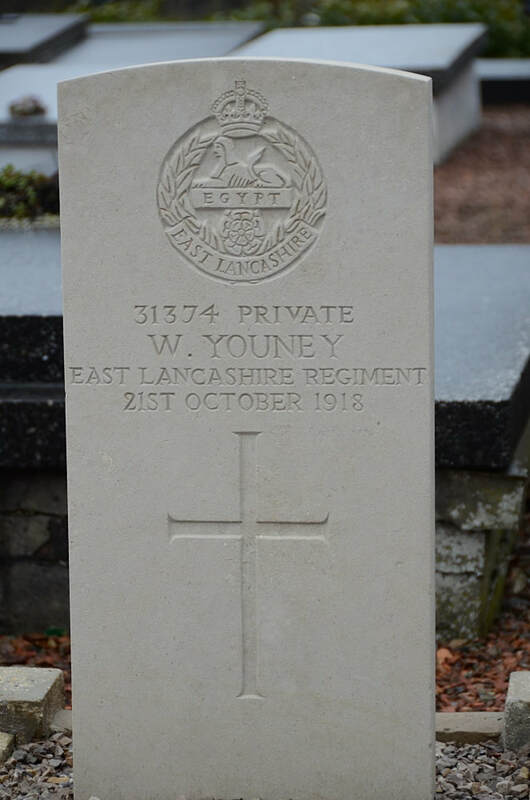 31374 Private W. Youney, 2nd Bn. East Lancashire Regiment, died 21st October 1918.